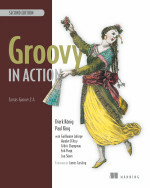 Update I’ve updated the link to the Groovy source repository, as it moved to Apache Incubator. With that in mind, I thought it might be useful to give a brief overview of how to build the docs and contribute changes. It can often be fiddly to contribute to open source projects, with lots of setup required. That’s not the case with the Groovy documentation because all you need are git and a text editor. If you’re really fussy, then use a text editor or IDE that supports Asciidoc syntax, as the Groovy user guide and language specification use Asciidoctor to build the HTML documents. Fork the apache/incubator-groovy repository on GitHub. Open a terminal/command prompt and cd into the groovy-core directory. Run ./gradlew asciidocAll (or just gradlew asciidocAll on Windows). Open the file target/asciidoc/index.html in a browser. Congratulations, you’re now looking at the very latest Groovy guides! All you need to do now is learn how to make changes and add content. The source files for the Groovy guides are all based on Asciidoc. This is a wiki-like syntax with an unusual amount of power. If you want to contribute to these guides, you will have learn the syntax. Fortunately, the bulk of it is quite straightforward and you have plenty of existing source files to learn from (or copy and paste from in my case). This shows you the overall structure of the combined language specification, tools guide and user guide. As you can see from the above extract, the guides are formed of several different Asciidoc source files and it’s important to know which one you should be editing. For example, section 1.2 (at the time of writing) on operators is sourced from the core-operators.adoc file – the second file in the first chapter (Groovy Language Specification). Inside core-operators.adoc, you will find all the sub-sections with their headings lead by ‘==’. The first line marks this as a code segment. The bit between the dashed lines is something like a macro that pulls in a set of lines from an external source file, in this case the `OperatorsTest` class. The last line is a code annotation which allows you to attach bits of text to specific lines in the code. The `tag::..` and `end::…` comments demarcate and label the blocks of code you want to pull into the documentation. If you take a quick look at the Asciidoc source again, you’ll see that the `include` macro references a tag called `operation_overload_class`. You can see the corresponding tag in the above method source. This example also demonstrates how to add code annotations: simply add a line comment at the end containing just <n>. The resulting code sample in the HTML guide will have a numbered cueball at the end of the line of source code, with the same numbered cueball at the end of the sample followed by the text of that annotation. All the sections of the various guides are already there, but some of them are empty and typically labelled with TBD. These are the ones that need work. But before you jump in and start working on a section, think on this: how do you know that someone else isn’t working on that section? The bit I’ve added is in italics. Now I commit this change, push it to the doc-patch-nn branch in my remote repository and submit the pull request. Once the pull request is merged, I can start working on the section (be sure to rebase against groovy/groovy-core master branch first!). When I’ve finished, I commit my content changes to the same branch, remove my name from the section, push everything to my remote repo, and resubmit the pull request. Job done. That’s all I want to cover here. 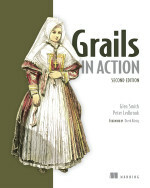 The main focus has been the mechanics of contributing to the guides. I’ll leave it to the reader to learn how to use Asciidoc. I’m learning it myself, so I don’t think I’m ready to instruct anyone else. Let me know how things go and whether I need to add any extra clarifications to the post. Thank you for this Peter. Was thinkimg i might do some docs myself but did not know how to start. Have been trying to write a newAsciidocTemplateEngine so we could get groovy to render asciidoc.adoc files directly, so asciidoctor is currently my ‘new best friend’. Thanks Paul. I’ve updated the post. I’ve found a typo in http://docs.groovy-lang.org/latest/html/groovy-jdk/java/io/File.html#traverse(java.util.Map), but I don’t want to become a docu-github-contributor. Can I sent a mail to you with the details?